What kind of place are you looking for to hold this in? A park? A dog park? 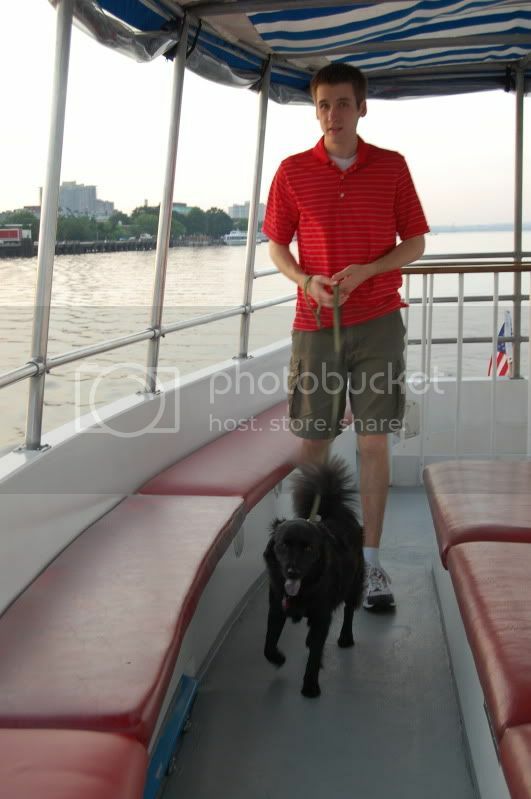 A DOG FRIENDLY HAPPY HOUR on a patio (Pat Troy's Ireland's Own Restaurant and Pub of Old Town, Alexandria, Virginia) followed by A CANINE CRUISE? 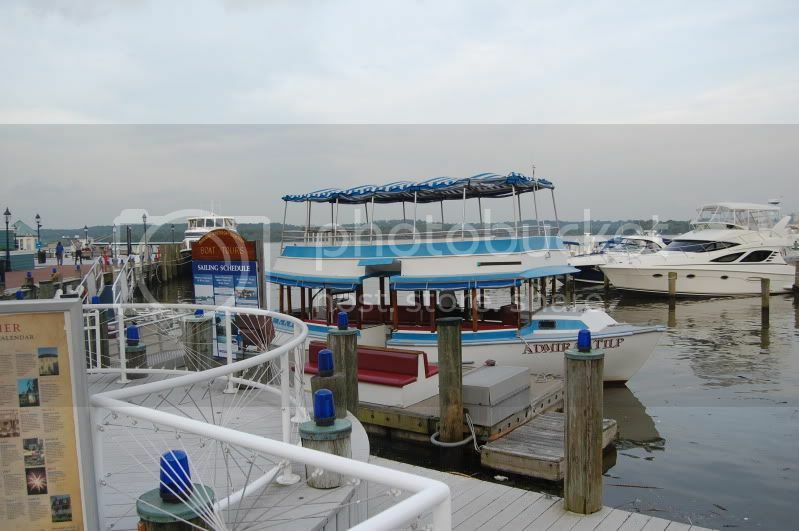 (Special Event Cruises in DC and Virginia from Potomac Riverboat Company). Perhaps a whole weekend of fun coordinated events such as hikes or swimming parties or ??? Where would people stay? Hotels? A campground? Are local chazzers hosting foreign ones? I mean, my husband will tell me I'm absolutely insane and probably commit me to a mental institution, but I would volunteer my guest rooms and couches and such and could have 4 or 5 people stay here easily. I'd just tell him to go to Vegas that weekend with his buddies. I voted Virginia because there's no way I'm taking time off work to drive across the country--sorry. I'm impressed with those who are willing, but I can't do it! Only if you're bringing Mu. I could arrange that. I warn you though, she will bark at you and your dogs and probably everything else and then hide behind my legs until she forgets you're there....then she'll remember and commence barking again. Cause that's how she rolls. Lol. That's the type of stuff I was hoping to see, Cali! Once we settle on a location, then other threads will be put up for carpooling, housing offers/room sharing, etc. I Voted VA because I love the VA mountains and it's approximately 5 hours from me. Also, if this is going to be next summer, It's on the way to NY where I'll be getting married so it's sort of convenient. If it comes down to it and VA is not possible, I could fly to MO but there's no way I could take a dog with me. Mind you, I will be in school next summer, so depending when it is..
We could have a separate support meetup for chazzer's SOs who think they are completely bonkers. If it's in August, we're still considering drive cross-country, anyway, and Denver and various places on KS were on our list. We'll both most likely be in summer classes, though, so the dates would be be pretty specific, but if you do decide to meetup in someplace other than VA, we could try to make it. Camping is like 6$ a night and if it's in summer, it'll be plenty warm enough. Plus if we share tents we could camp for about 2$ each...I'm not sure how many dogs would be allowed on each tent site, though. It'd probably vary by campground (or hotel for that matter). I think, once a location is set, that if we contacted places and let them know what we're doing, some would be willing to work with us on a group rate & allowing dogs. Well, that's the experience I've had with my area, anyway. CO and KS are too far from me. We're planning a pretty expensive trip for May already, so it's out of the question to fly out to one of those places this summer. Virginia is probably a ~15 hour drive for me, which is too much as well. If we could do GA, TN, NC, or SC I could possibly make it up there with a dog (or 5 :yikes: ). Actually, if we were in Northern- NC, I think that might not be a horrible idea...it's further from VA from me, but closer than MO and probably doable. It's a long way from Denver, but I think it's closer than VA from CO? Maybe we could add NC to the poll and see which one gets the majority? Love you Zoomer, but I wouldn't knowingly put any money -- or my presence -- into an economy that supports BSL. I'm not likely to make it that far unless I win a lottery or some publisher signs me to an awesome contract, but it is something to be considered. Well now that the powers that be have done that, we need to take one vote away from "other" and add one to North Carolina. Yeah my vote would have to be moved from VA to NC as well. That said - I need more input from everyone considering going. Do you want to camp? Stay in a hotel? Stay with chazzers? Flexible on all of the above? What is your price range for a hotel per night, and how long would you stay? Zoom and I figured 4 days - Thursday-Sun, with the main events being on the weekend so everyone who can't take off work can come. Hmm I'll go Flexible on lodgind but if we were to do hotel I'd prefer less than $150 a night since I'm already spending a ton my my wedding that summer. I'd probably stay the whole thing but I'm not sure what exactly my summer work is going to look like. Events... Yes to all but the off leash hike at least for Izzy. She has not yet proven herself reliable in forested areas off leash. Although she will follow other dogs around, I don't want to chance it. Then again, I could always go without her or with her on a leash anyways. 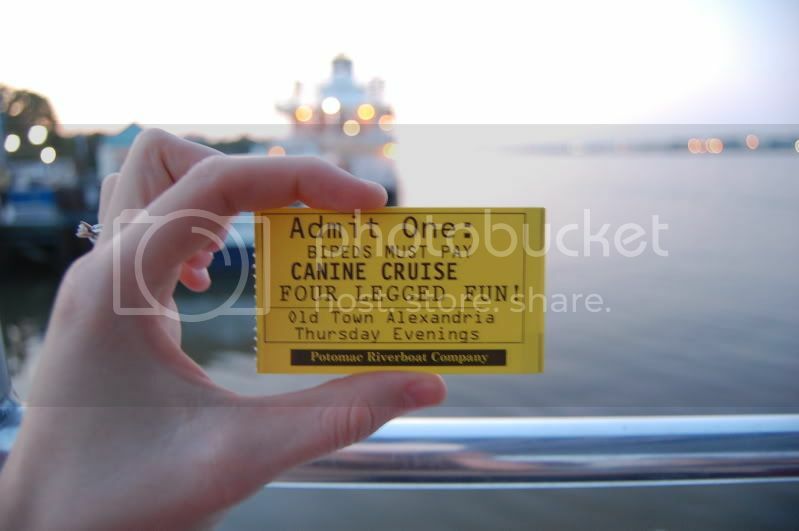 How would the cruise work though, I haven't heard of a dog cruise before and I'm not sure how well some dogs would do on a huge ship, I know mine is likely to be freaked out. lol, it's not a huge ship, it's a dinky little boat. It's just an hour long trip around the Potomac river. I have pictures from when I did it with Lucy last year. I'm not trying to make this a VA meet up--if everyone chooses to go to NC or Kansas or Denver or wherever that's cool--but I just think it's helpful to come up with ideas of what we could do in each location.